Two days on the trot. See? I’m starting as I mean to go on—loins girded and more resolute than I’ve been since … well, the last time I was resolute. I thought today I might gently ease myself back into this whole blogging malarkey with, as the title suggests, a bit of a roundup. I’m going to try my best to keep it brief and to the point, but I ain’t promising. Most of this year has been taken up with my new work in progress, Juniper Faraday. I started the actual writing about five months or so ago after initially outlining a completely different novel (Recalling Calloway Vaughan). As with The Legacy of Lorna Lovelost, Juniper Faraday came to me pretty much fully formed. 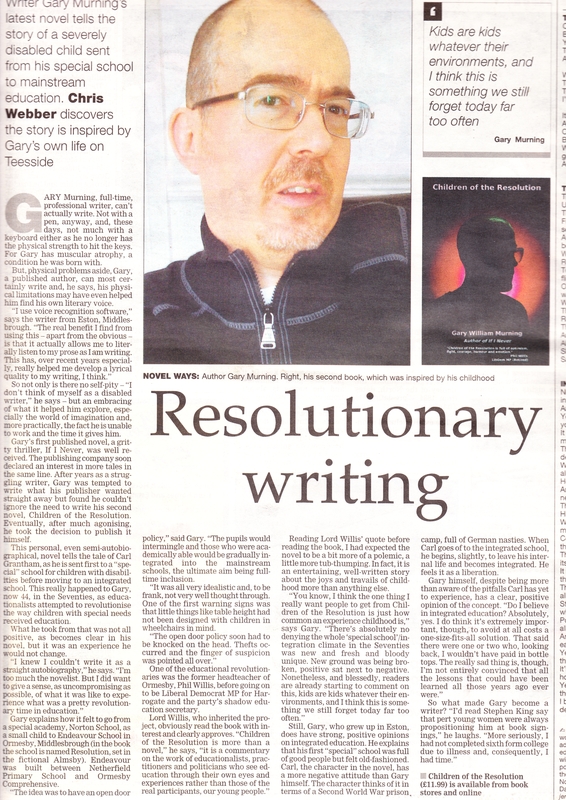 It excited me immediately and within a month or two the outline was in place and I was working on the first draft. The working draft now stands at 110,000 words and I expect to finish it either just before Christmas or just after. A pretty tense “social drama”, I think it’s my most understated and thoughtful piece so far—exploring questions of trust in a literary form that will be primarily entertaining and highly readable. Again, it’s quite different stylistically to my other work (especially Lorna Lovelost) but I believe it’s a very solidly recognisable Gary William Murning novel. Apart from this, I’ve also been exploring publishing possibilities with The Legacy of Lorna Lovelost. Believing it a good fit with my Legend Press novel, If I Never, I offered it to Legend. In all honesty, my hopes were not that high—as Legend did not feel my earlier novel, Children of the Resolution, to be a suitable follow-up, either (Children is now my only novel to still have 100% five-star reviews on Amazon). And sure enough, Lorna was ultimately deemed too “philosophical” for their list. Which, of course, is perfectly acceptable; it’s pretty clear we have very different readers in mind. (It isn’t actually all that philosophical. No more so than my other writing.) And so I’ve made the decision to once again publish through my own imprint GWM Publications. I did think of approaching other publishers but, as this is a novel that is especially close to my heart, I decided that retaining complete control was something I welcomed. 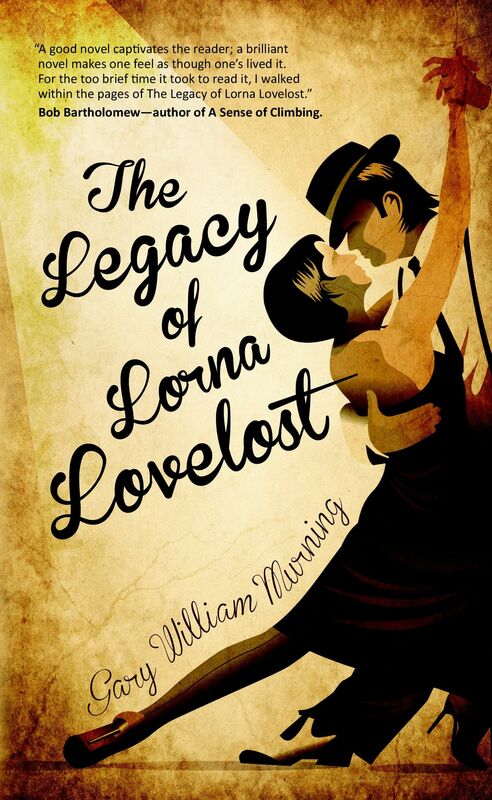 The Legacy of Lorna Lovelost, therefore, will now be published in paperback and for Kindle sometime in October next year. And that’s pretty much it. Over coming weeks, I hope to fill you in on more of the details regarding all these projects—with prepublication samples of Lorna probably coming early next year. I want to get back in the habit of occasionally providing a little insight into how I work and what’s important to me in my fiction. Hopefully it will be of interest. 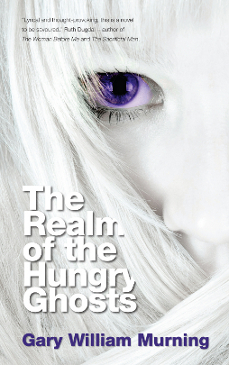 Read the free sample of The Realm of the Hungry Ghosts here. 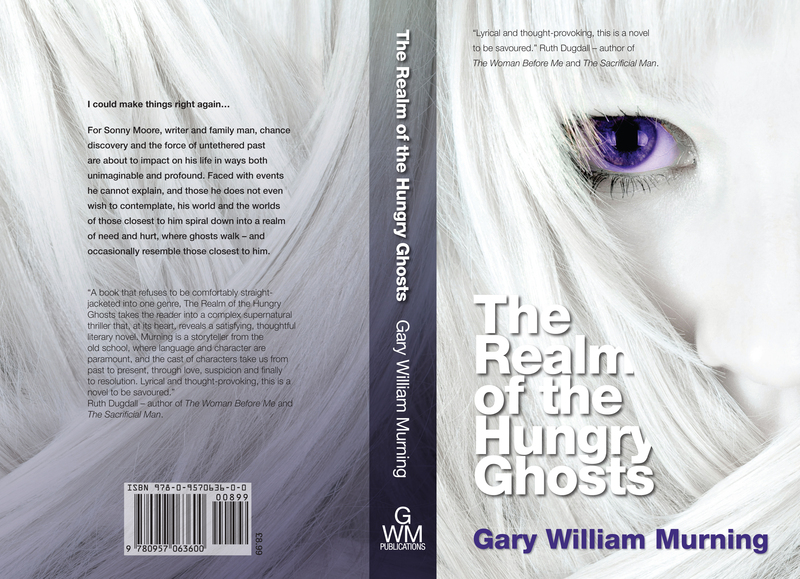 Buy your copy of The Realm of the Hungry Ghosts now! Posted in: Arts., Books, Literature. 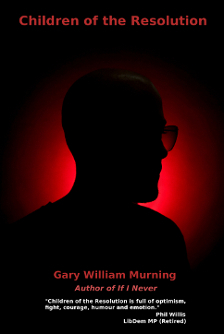 Tagged: art, Arts., Creative Flux, creativity, Gary, Gary William Murning, Murning, William, Writing..
One of the first things anyone working in any creative field discovers is just how diverse opinion is (and, following on quickly from this, just how willing the majority of people are—whether qualified or not—to share that opinion). Generally, this is a positive. Ideas, opinions, suggestions, these are the things that can, with the right attitude, spark creativity. They can also, however, utterly and completely stifle it. The Realm of the Hungry Ghosts – Final Cover Unveiling. I am delighted to reveal the cover for my next novel (to be published on 31 March 2012) The Realm of the Hungry Ghosts. The first novel to be brought out under my own micropublishing imprint, GWM Publications. Designed by the very talented Gudrun Jobst, who also designed the cover for my first Legend Press novel, If I Never, I think you will agree that the end result is pretty striking. BBC Tees Radio Interview—BBC iPlayer Link. For those who missed it live, you can catch my BBC Tees Phil and Amy radio interview here http://www.bbc.co.uk/iplayer/console/p00hrddb Fast forward to 2:40:00. UPDATE: As this interview is no longer available on iPlayer, I have, with kind permission from BBC Tees, now made the interview segment available here. Please do not repost without prior permission. Broken Angel—An Exclusive Kindle Short Story. Today I made available, exclusively for Kindle, my short story Broken Angel. Something of an experiment, I’m encouraging those of you who are interested in buying it (for only seventy-one pence) to hold fire until the weekend. Ideally, I would like as many people as possible to buy it on Saturday. The reason for this is to, hopefully, push it up the ranking as high as possible in a relatively short space of time—with the intention of increasing visibility on the ranking lists. How successful this will be, I don’t know, but if you are interested in joining in the experiment (and buying a pretty cool exclusive short story in the process) please let me know by commenting below! Broken Angel is available here (US, German Amazon). PLEASE NOTE: for those of you without a Kindle, free apps are available on the product page for all mobile phone operating systems, iPad, PC etc. I haven’t written a great deal about my latest project, The Legacy of Lorna Lovelost, here (though I have tweeted about it considerably). This is, of course, the result of my generally blogging less these days rather than any conscious decision to deny my blog-readers, and, rather ironically, I’m now mentioning it only in passing as I look forward and look back—contemplating my next project and the recently published Children of the Resolution. As is so often the way, common threads tend to run through some of the projects I write. 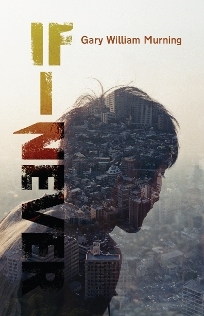 Lorna Lovelost, for example, has certain connections to my first published novel, If I Never. Similarly, it’s beginning to look as though my next project—tentatively titled The Wisdom of Closed Worlds, is going to have thematic links with Children of the Resolution. (More of this at a later date.) Consequently, today has found me revisiting some of my blog posts from the period during which I was working on Children. And it occurred to me that said posts might be of interest to old and new readers alike. Good to Be Writing Again—my first post upon starting work on the novel itself. On Writing Child Characters for Adults—addressing some of my concerns; a half decent insight into how I work. Death Off-Stage—how the most difficult scenes can often be far easier to write than we expect. The Final Curtain—on leaving behind “old friends”. The Difficult Questions—looking at how I deal with “bullying” in Children of the Resolution. Burning Love—a brief, light post on one of Carl Grantham’s childhood heroes (and my own). 124,980 page hits since 9th October, 2007.